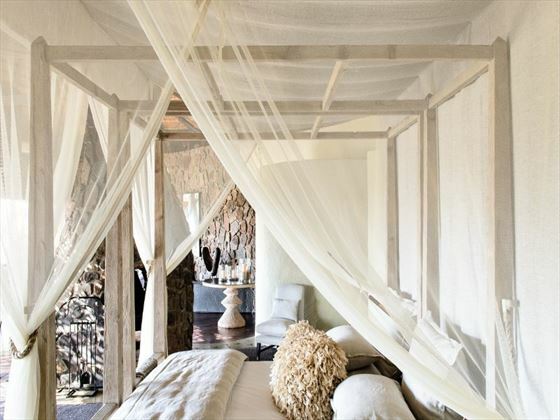 The ultimate in luxury, Singita Boulders is a safari experience unlike any other. 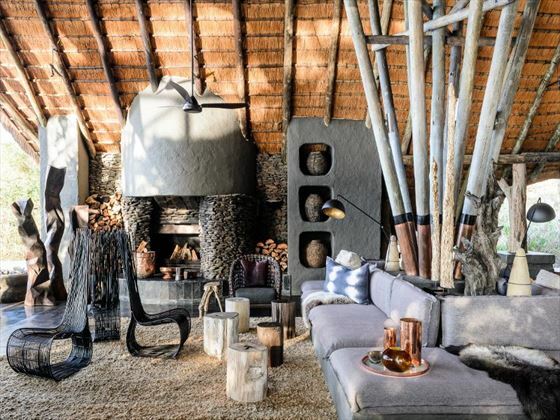 Located in South Africa’s Sabi Sand Reserve this sophisticated lodge is truly unique, boasting a sleek design with gourmet dining, sensational game drives and hotel-style amenities for complete luxury. The impeccable service is present throughout your entire stay – nothing is too much trouble and every detail has been considered. 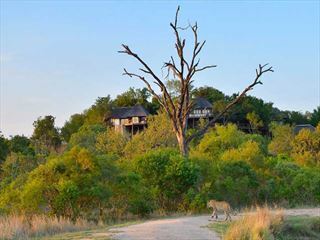 Game drives here are spectacular, with the skilled guides and trackers able to locate the Big Five, plus numerous other species, with ease. 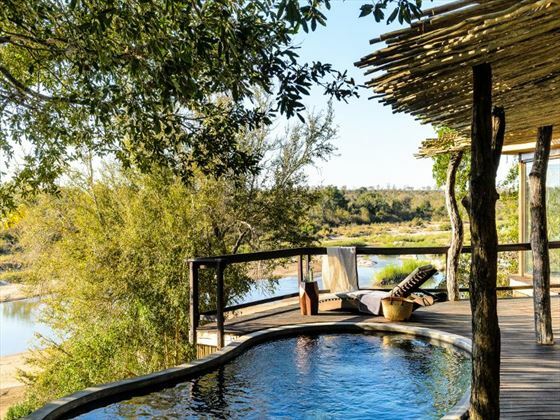 On your downtime between seeking out the local wildlife, you may want to indulge in a massage at the spa or take a dip in the infinity pool, surrounded by the tranquil beauty of the South African bushland. The food is delicious, with a fantastic menu of fusion dishes that are as beautiful presented as they are flavoursome, accompanied by perfectly-paired wines picked out by the in-house sommelier. 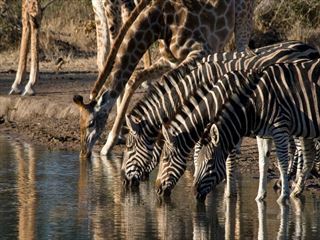 In addition to morning and evening game drives, you can take part in other activities during your stay, from archery and local community visits to guided nature walks and stargazing safaris. 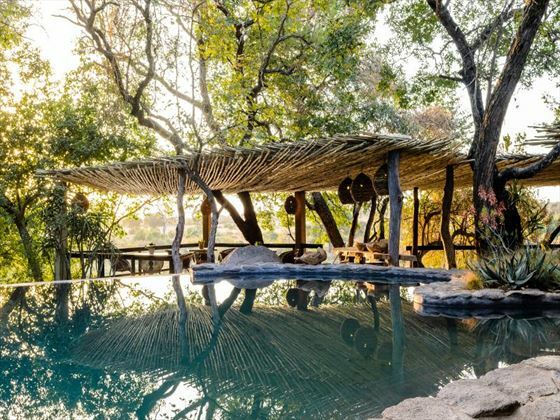 Kids are well catered for too, with dedicated menus and a Mini Rangers programme where they can learn more about the flora and fauna of this exceptional region. 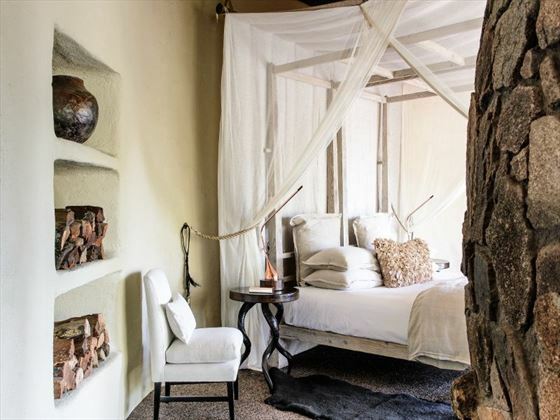 Singita Boulders Lodge is situated on the banks of the Sand River in the Sabi Sand Reserve, located next to the world-famous Kruger National Park. 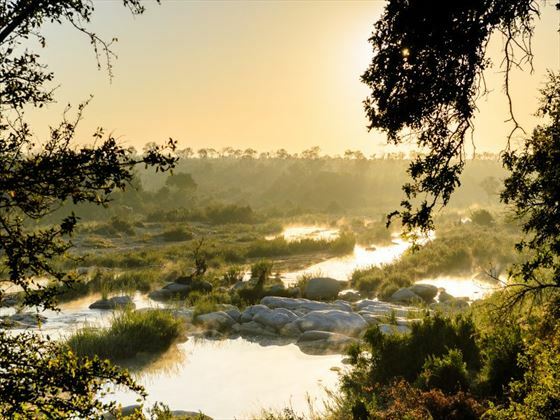 The area covers more than 45,000 acres of unspoiled landscape, providing countless wildlife sightings both from the grounds and on game drives. 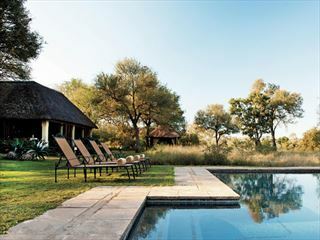 The Singita airstrip is just ten minutes from the lodge – the flight from Johannesburg to Singita Sabi Sand is an hour. 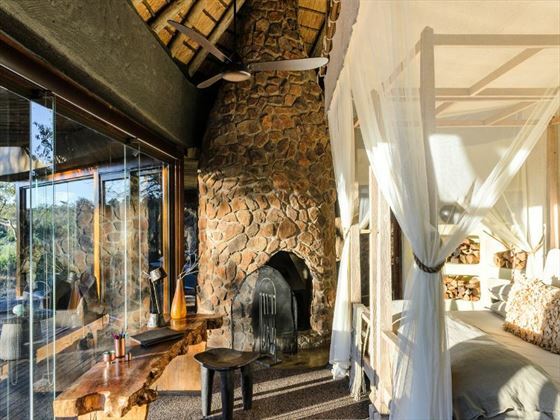 The lodge provides ten one-bedroom suites and two two-bedroom family suites. The hotel features a contemporary restaurant with a gourmet menu of fusion dishes, beautifully presented and accompanied by perfectly-paired wines. The meals here can also be tailored to suit your preferences or dietary needs. 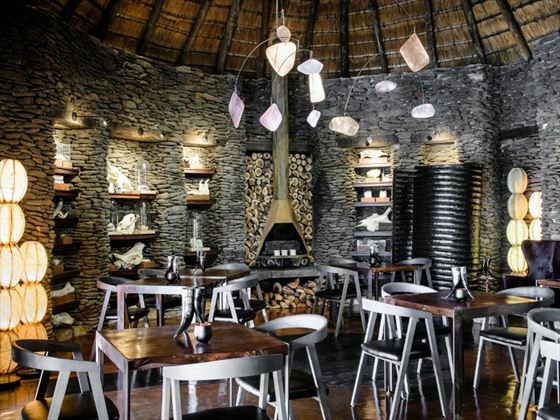 Singita Boulders also has a wine cellar with an extensive range of premium wines to choose from, from rare and vintage bottles to local and international flavours. Personalised wine tastings can be arranged upon request and you can also purchase your favourites from your stay to take home with you.